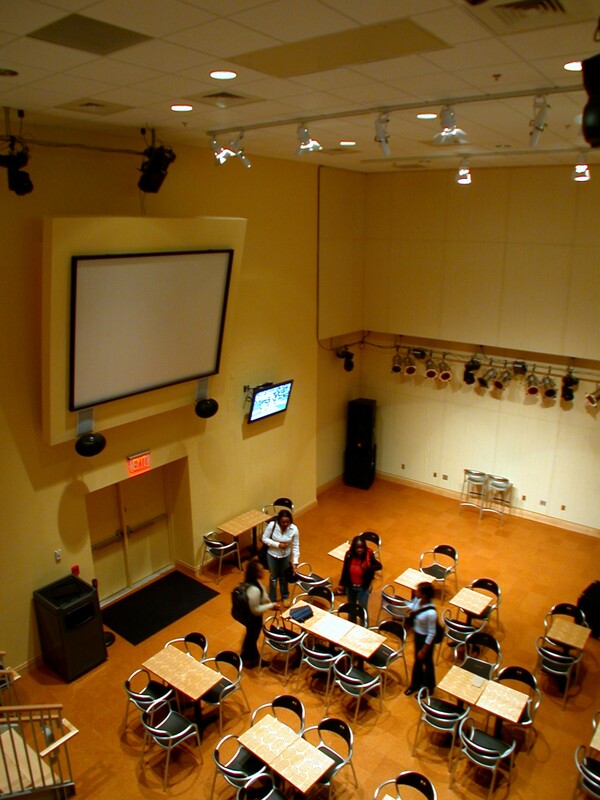 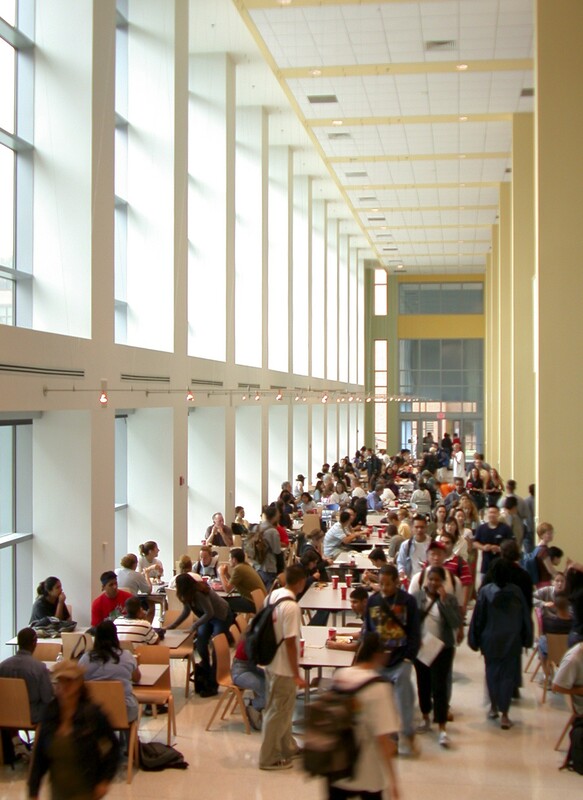 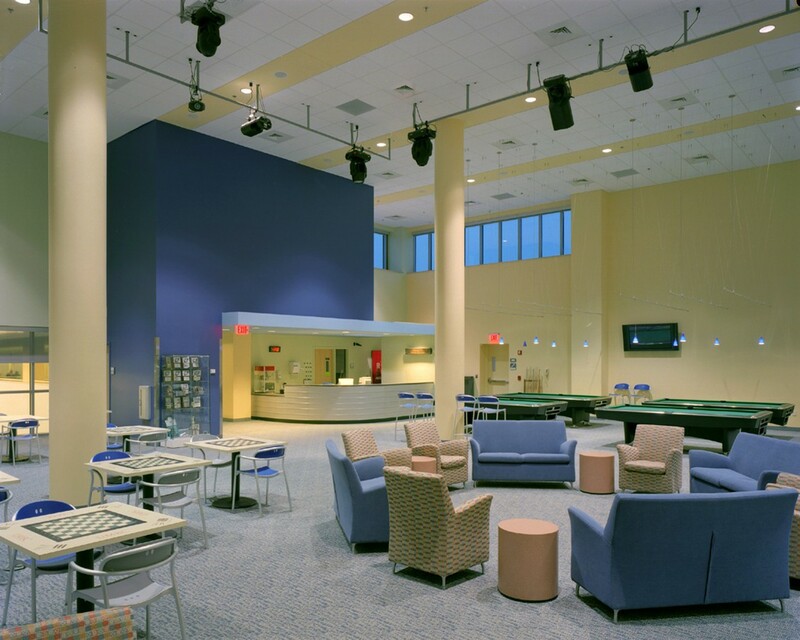 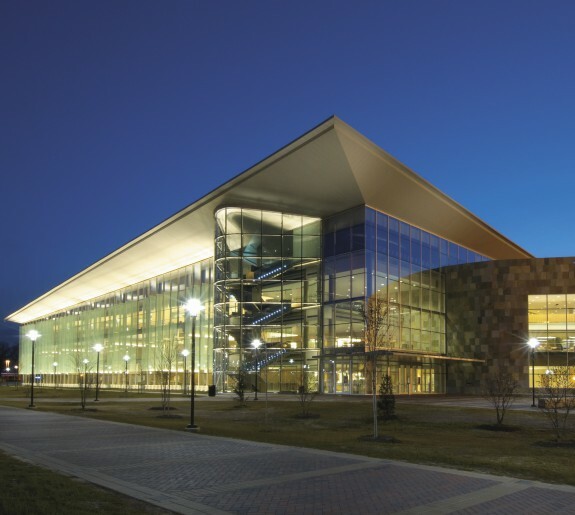 The Commons was planned and designed as the centerpiece for student and academic life at UMBC - both literally and figuratively. 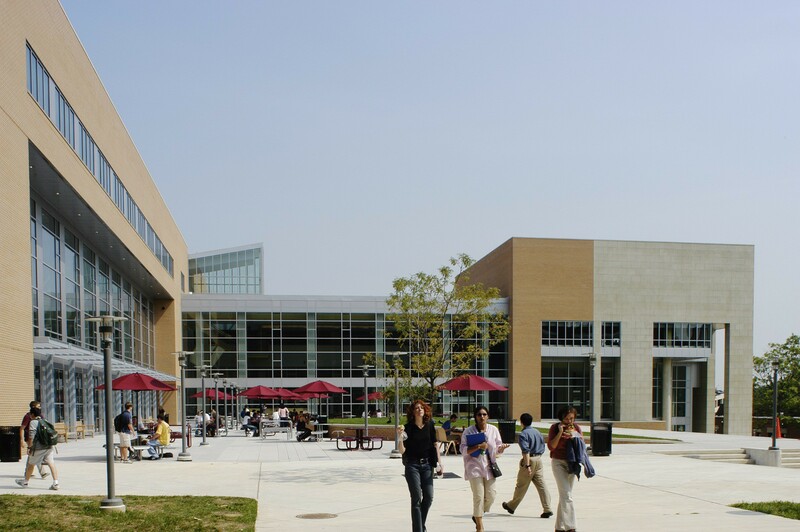 The Commons is situated between the existing academic core and a new academic quad expansion and is graced on either side by generous campus greens. 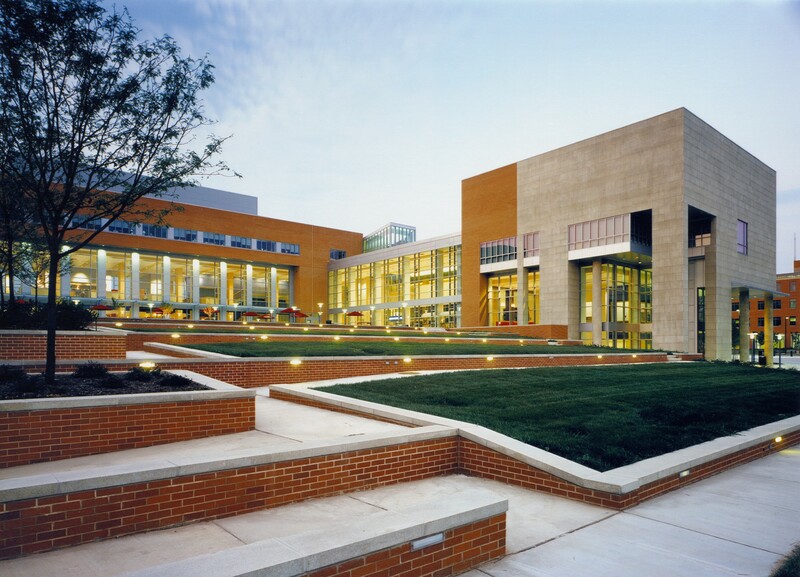 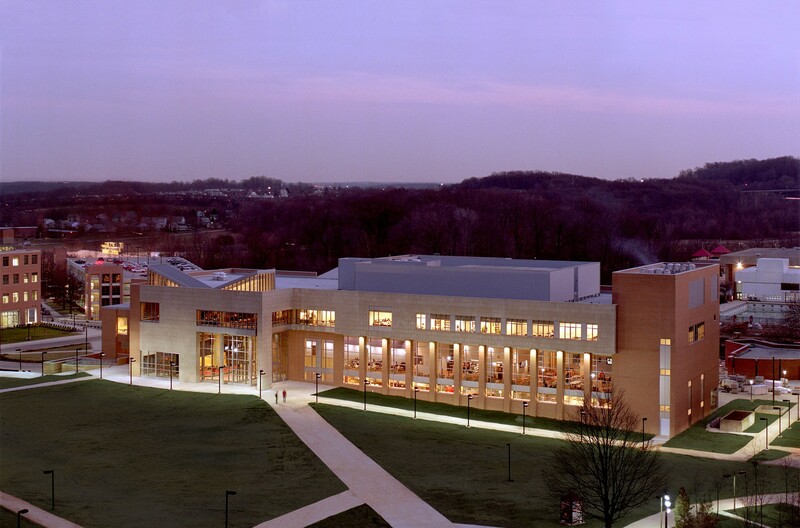 Architecturally, the Commons compliments the Albert A. Kuhn, a signature campus building. 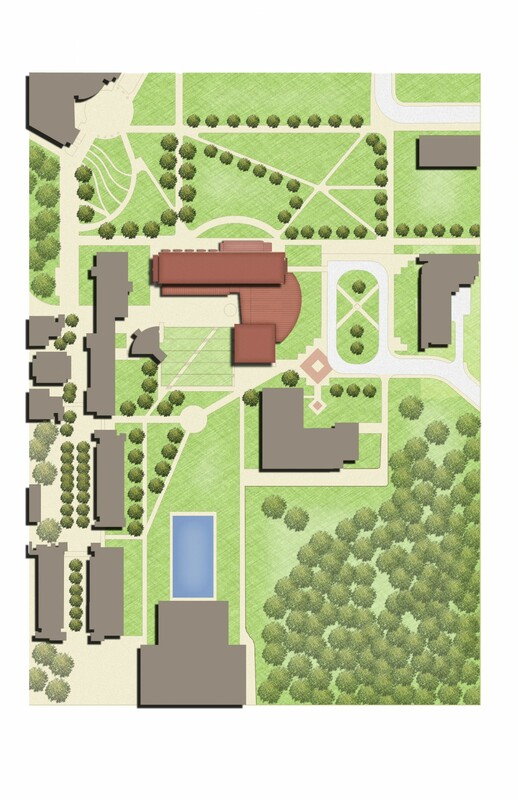 Program elements reflect the vision for the Commons as a magnet for the entire campus community. 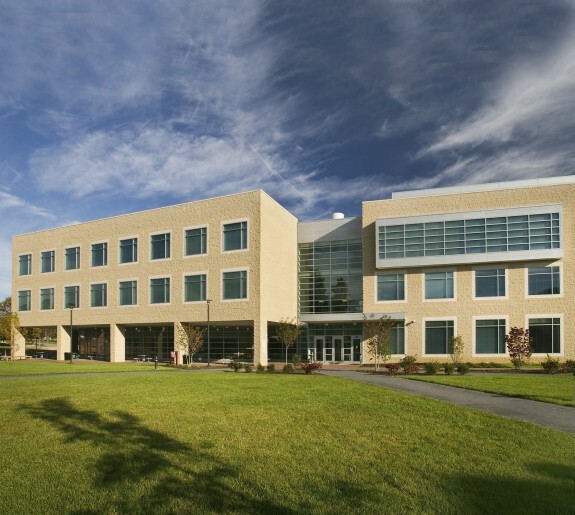 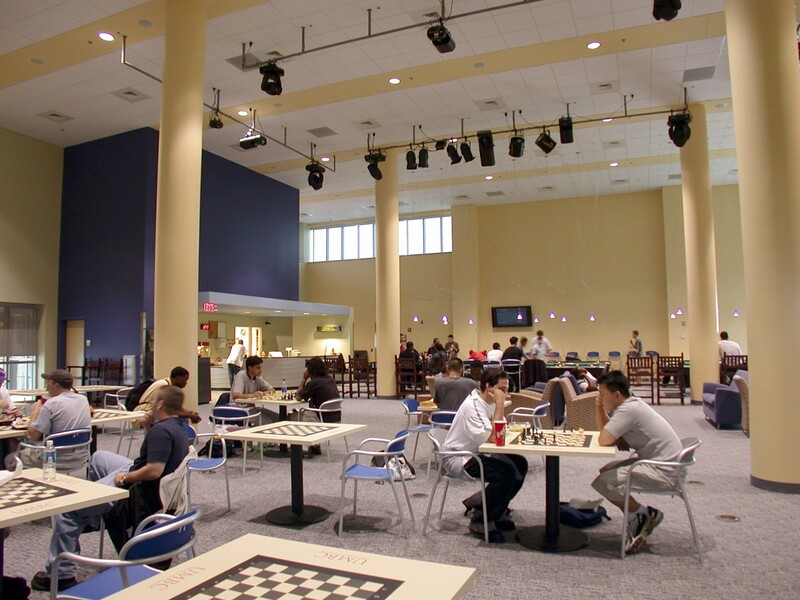 The 148,000 GSF/98,595 NASF building includes: 510-sat dining room and full kitchen; flexible performance space, programmed and operated by students; faculty dining room; casual cafe; bookstore; four retail spaces; recreation center; several seminar/meeting rooms; numerous study areas; student government and organization offices; and staff offices. 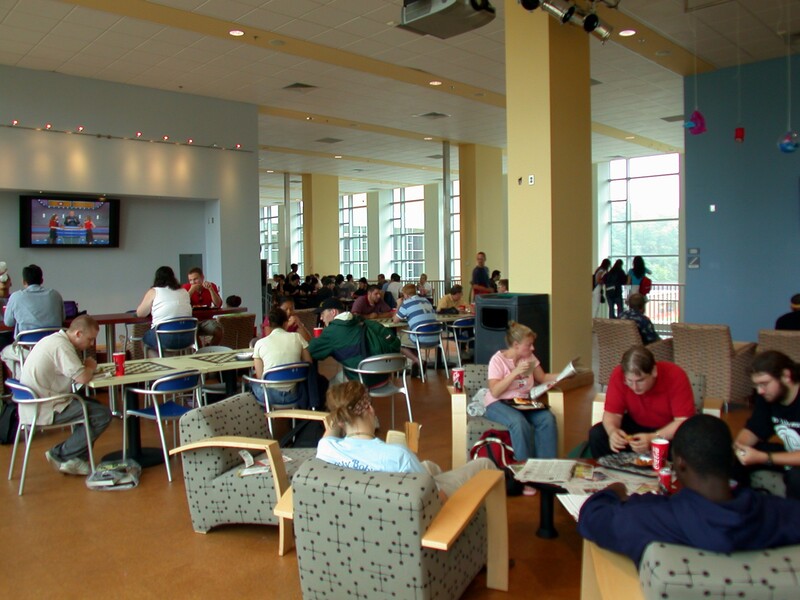 Additionally, IT connectivity was essential to drawing students and staff to the Commons. 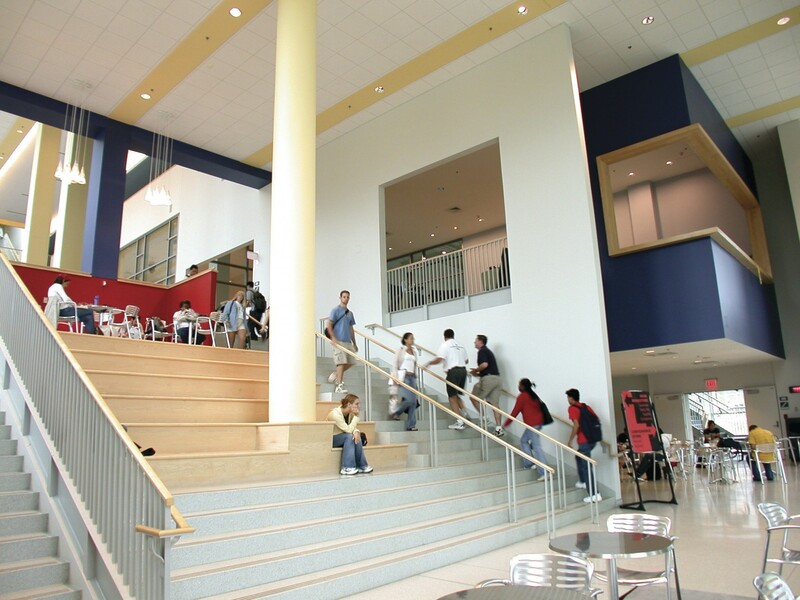 As such, the building includes 2,200 ports for computer connectivity. 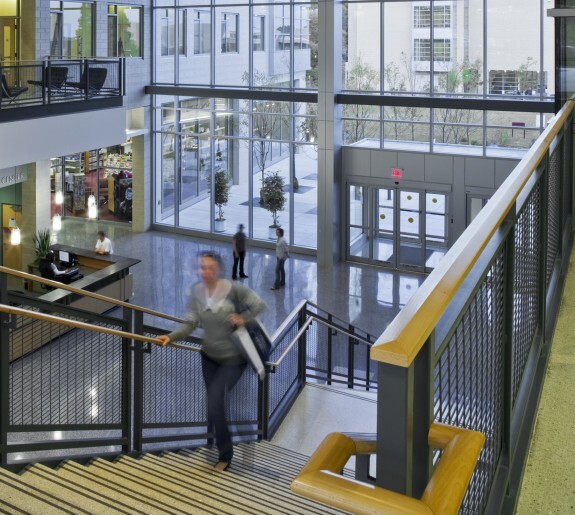 Two main interior circulation corridors (Main Street & Market Street) intersect at the building core and take advantage of adjacent green spaces, changes in topography and existing campus pedestrian patterns. 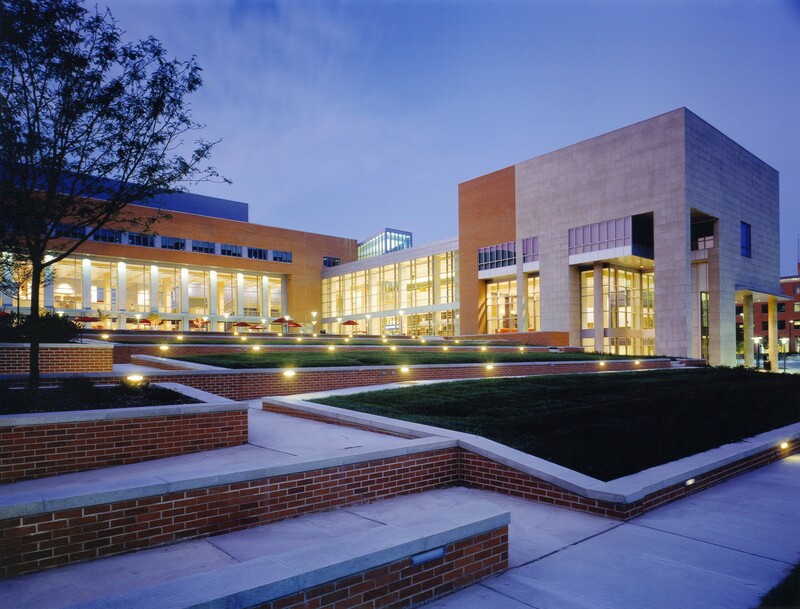 The north/south route (Main Street) was developed into a wide, stepped concourse for informal gathering and more organized student events. 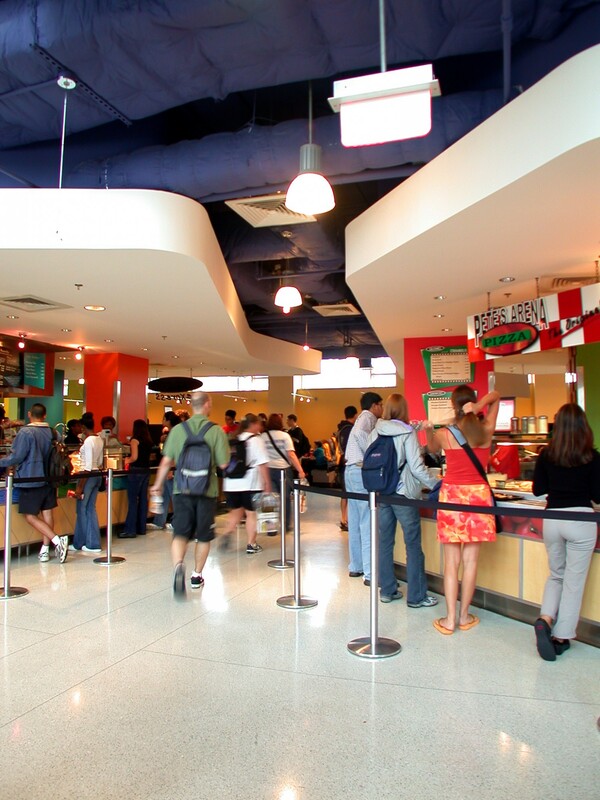 The east/west path (Market Street) connects the main campus through the dining facility to the north/south concourse.